Japanese actors tend to fly to Chinese entertainment to get to a bigger market. One has to consider Yukari Oshima who after Bioman got more known for being a HK action star. Although Tokusatsu fans will remember her as Farrah Cat but she was launched in Hong Kong. Chie Tanaka even had a better career in Hong Kong than in Japan. 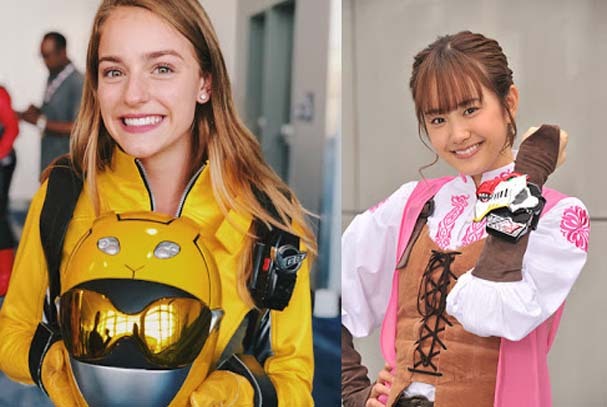 Tokusatsu stars may want to go to HK to get a better career. In Japanese entertainment, Chinese themes are becoming more and more popular to an otherwise extremely nationalistic country in the past. The arrival of F4 in Asia as a phenomenon. 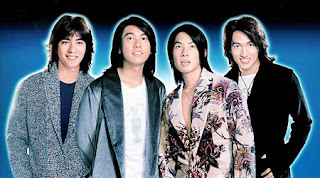 Eve if they are no longer a group (yeah Vic Zhou already sang "I'm Not F4" before he became too engrossed in soap operas like Chin Han) their names are still remembered. After F4 came much more of the Chinese world copying the Anime hairstyle.